Last month I posted about Once a Month Shopping, so I wanted to give you an update for the month of May. As I suspected, my total for the month was down...yea! Once you have stocked your pantry then you just fill in when needed, waiting until sales if you can. Again, I would be happy to share my master list, just shoot me an email. Total- $301.24 WOW For a family of six, I am VERY happy with this month! Once our garden comes in I hope to be spending even less on veggies! We will be doing the same for June, with one minor change...A TWO WEEK FREEZER-PANTRY CHALLENGE! See the need for defrosting?! For me, this will mean buying only the staples from my master list that we are out of, and some fresh fruits and veggies for our first of the month shop. NO MEAT! Gonna use what we have. 2- Use as much as you can from your freezer and pantry. Go on- be brave and peek at what's in there. You might be surprised at what you find- like salmon! Then get creative and share with us your plan. We would love to encourage you this month so take a minute and let us know what you will be doing! We have wimpy dogs. Really! Both are rescue dogs and both have issues. Our female was abused when we got her, and obviously a little drugged, which we were unaware of at the time. We looked at hyper frisky little labs. Been there, done that. I told my husband no thank you, we already have one toddler in our home. I do not need anything else that bounces. Then we saw Aspen, sitting there so quiet- we'll take her! Unfortunately, once she came out of her stupor it was obvious she was not quite right. Can you say scared? She would hide under our deck for days if you so much as looked at her wrong. Seriously, she had issues. But we loved her. So after much money and training, and did I mention money, we got some control of her. Some. This is what happens when it thunders outside. The big baby (the dog, not the boy) finds the closest lap and gets in it. Fast! It drives. me. crazy! (Makes me want to sing, "When I am afraid, I will trust in you, trust in you!" There's a lesson in there somewhere!) Lego Boy, he loves it! Dad says no more dogs...EVER! Press 1 tube of cookie dough evenly in bottom of pan. Beat cream cheese, eggs and vanilla until smooth. Pour over cookie dough. Crumble remaining dough over top. Coming next week- A crock pot dessert! Several years ago our family decided to change how we did gifts at Christmas time. Through the years we felt we had let the gift giving get out of hand and had allowed our focus to be shifted in a direction we were not happy about. CP and I do not need more "Stuff" and the kids certainly do not need more toys. Our solution- let's give memories and not so many things! So as a family we decided that mom and dad would decide on a vacation destination to surprise the kids with on Christmas day. All the money otherwise spent on trinkets and baubles would now go towards this trip. (We also have a vacation fund we contribute to monthly.) We encouraged Grandparents to cut back as well and bless us with money to go towards that trip. (The following Christmas we present to them a photo album of the fun we had as a thank you!) Some years have been one big trip, other multiple "mini" trips, but regardless we have created lots of memories, Christmas got refocused and the kids anticipate the big announcement as much as the few gifts we now give. We are always looking for new places and ideas! Take a minute and share with us...where is your favorite place to vacation? Today is a blah kind of day here at our house- sick child, my mom went home after a week of taking care of us and I am slower in recovery than I'd like to be. So, to pep things up, let's have a giveaway! I mentioned The Child Training Bible last month. I love this product! Can I tell you how many times in my 18 years of child rearing that I have quoted Scripture, or at least paraphrased it, but really had no way to quickly show the kids where the Bible actually said that? And, yes, I think that is important. If we want to encourage our children to hide God's word in their heart, I think we must be able to show them where we are getting the scripture from, not just, ummm, it is in there somewhere. 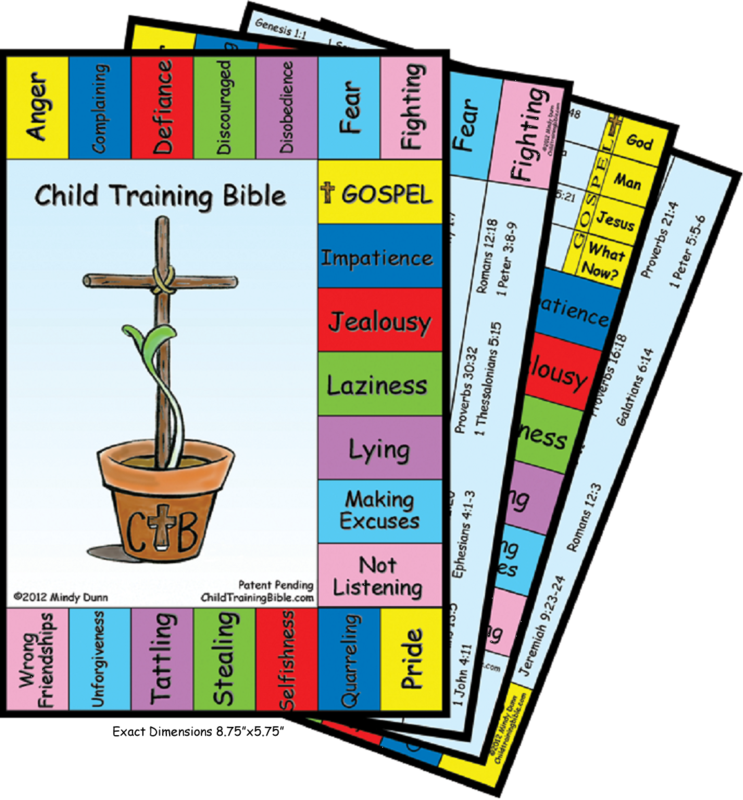 Enter The Child Training Bible! "The Child Training Bible is tool that allows parents and children (and anyone that loves the Word of God) to go directly to the pages of Scripture for instruction in 20 key areas with a complete section dedicated to the gospel. The CTB was designed with Colossians 3:9-10 in mind. “You have put off the old self with its practices and have put on the new self.” The Scriptures selected for the CTB teach why we are to “put off” certain behavior and what godly behavior we are to “put on” instead." UsingcColor coded tabs and highlighting scripture, verses are right at your fingertips and easily referenced. No more searching! 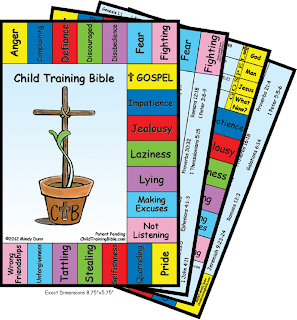 Because both negative and positive behaviors are addressed, you can also use The Child Training Bible to encourage yourself and others in their walk with the Lord. All you will need to add is a 9' x 6" Bible of any version, post it flags and highlighters to make your own CTB. Mindy and her husband, creators of this great resource, have links to Amazon where you can buy these if needed here! So here's how to enter! My family likes to read... A LOT! And each time our military family moves I am reminded that we own way too many books. Just ask our packers. 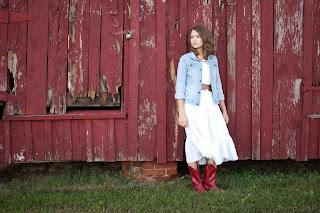 So I was thrilled to get to review a company called Heritage History this past month. 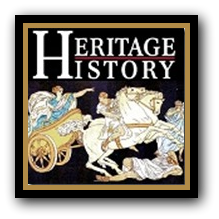 Heritage History has compiled collections of books, all published before 1922 and many hard to find or out of print, into 5 Cd's. Each CD can then be downloaded onto your computer or favorite reading device (we downloaded onto my ipad) or printed for your hands-on learners. The menu on the CD is very user friendly and easy to navigate and downloading was simple! Here's my favorite part- each story/book is then color coded to match your child's reading level, Beginner, Intermediate, or Advanced. * I did not have to hunt down 55 books and spend a fortune paying for those 55 books!. Think about the savings in time and money! 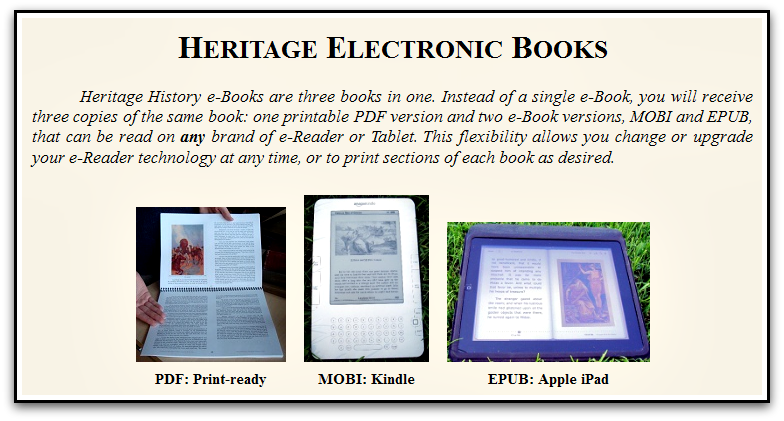 * Because of the format, I can have these books on my home computer, mobile device AND printed out if I want. A huge bonus for families with multiple children reading the same books. * I do not have to come up with my own study guide, maps, etc., which is often the case when studying living books. * Each CD covers at least a year's worth of study! Trust me, there is a lot of meat there! There is just not one thing I do not like about this product, well, other than the fact that it might take us forever to read all of these books. But, hey, they are easier to pack! My movers will thank me! You can buy British Middle Ages or any of the Heritage History Cd's here for $24.99 per volume, or buy the complete 5 volume set for $99.99. Click here to read what my fellow CREW members had to say about this product. Disclaimer- I received a copy of British Middle Ages in exchange for my honest review of this product. The views expressed are my own and were not influenced by the company in any way. -I found out that I am slightly braver than I thought. Ok, maybe it was just the prayers, but regardless, I did not freak out. At least not yet. -I have had no real pain. Yes, it does feel like someone took my insides out, shook them up a bit, and then put them back in to see where they would settle, but no external incision has meant no real pain. A lot of aches and back pain, but hey, I will take it! -When you can't exercise, it never looked so appealing. I long to get back on the treadmill and RUN; remind me of that in 6-8 weeks when I am cleared for normal life. -There are only so many projects you can do before you start to run out. 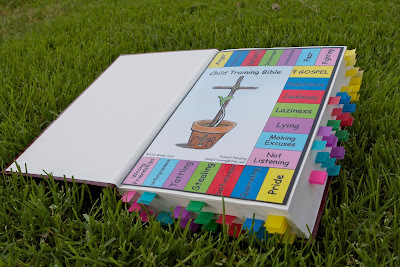 I have written numerous posts in the middle of the night when I could not sleep, put a Child's Training Bible together (giveaway to come! ), read, scrap booked, finished a puzzle and wandered around the house. Thought it might be a new kind of fun to be babied for a while but not. so. much! -Everyone says that you will feel great by the second week. Today is day five. I am waiting not so patiently for the second week. -Extra hormones for fifty-some days can make a person looney. Take those away- expect a crash! A big one. Kinda like the baby blues after giving birth, but with no cute baby to make you feel better. -My mood is highly affected by the sun. So where did it go and when is it coming back? -I am thankful it is summer. At least our schedule is slower and I will blend in with the other mommies lounging at the pool. Otherwise, I would just feel plain lazy. -Some days are just better than others. Friends and Family are fabulous. GOD IS GREATER THAN ALL! Thank you for walking through this with me, my friends! Fun Friday- Summer Dessert Time! Pour into crust and freeze! Wish I had a picture for you, but someone has not made one yet. We usually try to freeze several at a time, as it is a good go-to dessert if you have unexpected guests come by, or if you just need a dessert for your Fun Friday! Am I the only one that thinks teaching writing is hard? I found a program a few years ago I liked for slightly older kids, but for the younger ones it has been a challenge. Write Shop has solved my problem! I really like this program written by Nancy Sanders. We had the privilege to review Write Shop Junior, Level D, recommended for 3rd and 4th graders, and have really had fun exploring the first few chapters. 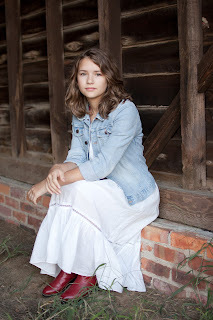 The plan was to save the rest for our upcoming school year, but since my 10 year old is enjoying it so much, we are now going to just continue through the summer. Let me start by saying this is not a program you should just jump right into. I read and reread the teacher's guide to get my bearings before starting. The curriculum has very clear instructions on how to approach each section of each chapter, including a lesson chart for a two week plan or three week plan for each chapter, allowing you to choose whichever best meets the needs of your family. The Student Activity guide is made up of student sheets and the "Fold and Go"sheets and comes in a handy bi-fold so you can just tear out the pages you are using for that day. There are plenty of hands on activities and games to keep you busy, but no pointless busy work. I was concerned that my son might find the graphics a bit juvenile, but he actually enjoyed the page work and I think it made it less intimidating to use and more fun for the two of us to work through. One of the bonuses of this program is that you create a "Fold and Go" for each unit that covers grammar rules and makes a quick study tool for your child to use. You will need to supply the file folders, but we enjoyed putting these together. Another neat aspect of the program sprinkled throughout the pages of the Teacher's Guide are sections called Parents Say. These sections are loaded with quotes of additional hints from fellow homeschooling parents...how they tweaked the program or things they added to make it more fun. If I could add one idea, mine would be this: I stapled clear quart baggies to instruction pages with the parts from the activities we did. That way, when I use the book again with the next child, all the parts for that specific activity are right there. You can also get this product in a PDF form. I will say that for me personally I liked having it all in front of me, including the Time-Saver Pack. Could you print these out yourself? Yes! But sometimes life is just easier when someone else saves you the time and effort. The pages are brightly colored and on card stock, making the pieces you cut out easier to use. From the company: Appealing to the visual, auditory and hands-on learners, the Book D Time-Saver Pack introduces new writing concepts in fun and clever ways. As stated earlier, we will definitely continue to use this program and hope to begin it with our youngest at the A, B, & C levels. (Other CREW members reviewed those levels, you can read about them Here as well.) It has been a joy to use Write Shop and a much needed answer to a curriculum quandary. 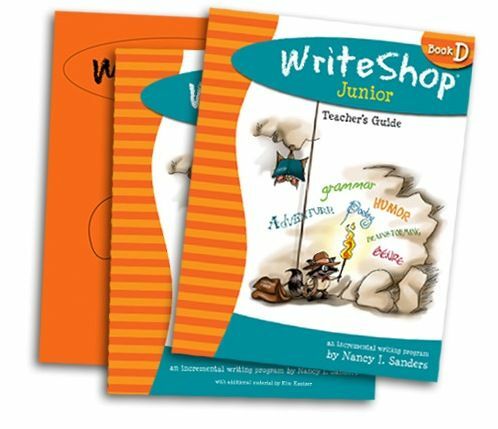 You can order Write Shop Junior here for $39.95. As a special bonus, Write Shop is graciously offering 15% off Write Shop Primary and Junior products in their store (including e-books) using the coupon code CREW15 at checkout. Offer valid through June 15th, 2012. See what other TOS CREW members have to say about this product here. The topic of today's post: Home-made Laundry Detergent. 3. It had to work in a high-efficiency washer. After some experimentation I have come up with this recipe, which is very close to this recipe. One 4oz. (or close) bar of natural soap. Any will do, such as Kirk's Castile (pictured here), Dr. Bronner's, or Kiss My Face, which can be found in the laundry aisle or in the organic/natural section of your grocery store. Ivory soap can used in a pinch but does contain fragrances. Washing Soda, found in the laundry aisle in a Yellow box. and Borax, found in a white box in the laundry aisle. Please do not be afraid to make your own laundry soap, it is super easy! You want the flakes to be fairly small, not huge soap shavings. You can sort of mash them up if they are too big. and 1 cup of baking soda. Now, this is where you can get fancy and add 2-3 drops of an essential oil to make your clothes smell nice. I have yet to do that. But please feel free. You can also make a fancy tag, if you are so inclined. And you are done! To use: just add 1-2 tablespoons per load. Now, if you are like me, you will want to add a cup. After all, (in my mind) regular laundry detergent works that way and if 2 Tbs. is good a cup will be better, right? Wrong. Regular laundry detergent is watered down so it is cheaper to produce and so you have to use, and therefore buy, more. This detergent is not watered down at all so you do not need nearly as much of it. 1TBS for regular loads and 2 TBS for heavy or super dirty loads like towels or gym clothes. Trust me. Much more will not get rinsed out, leaving soapy residue on your clothes. 1. It is safe for top-loading, front-loading, regular, and high efficiency machines. 2. It will not foam and bubble like store bought detergent. This is normal, and makes it safe for HE machines. Trust me, it is still working. 3. It will not make your clothes smell like a forest, spring meadow or rainbow. The smell that we have come to associate with clean is actually a toxic combo of chemicals. Please realize that until you get used to the lack of "clean smell" (aka pink cherry blossoms or lavender dream) you might think the clothes don't smell clean. They are clean, and I promise that you will get use to it. You can, however, add a few drops of an essential oil of your choice if you would like your clothes to smell like something. There you go! Easy, cheap, and natural laundry detergent. Please continue to keep mom in your prayers and we will keep you up to date with how she is doing! Can you do those facts quickly? Can your child? CapJaxMathFax by Starboard Training Systems can help! This was a fun review- our first for on line learning. A simple download and we were ready to go! CJMF, by Jack Fretwell of Starboard Training Systems, is a great online program to not only help your child learn math facts at any level in a fun way, but also encourages them to master the skills based on time. Reinforcement builds skills. Feedback rewards skill performance and maintains importance of program. 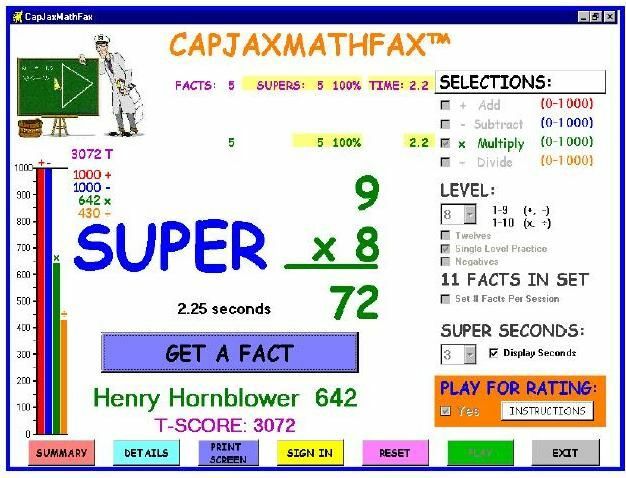 CapJaxMathFax™ employs a patented rating system that uses reinforcement and feedback data to create a game-like feeling. Ratings allow learners to keep score and set personal achievement goals. Student ratings also constitute a measure telling teachers and parents precisely where a student is in his or her math fact development. Once you are on the site, you can choose addition, subtraction, multiplication or division or any combination of and the level you want to begin with. You can choose practice mode, which allows you to set the default timer to better match your child's skill level and does not score them, or the rating mode. Rating mode keeps the students progress for you through increasing levels of difficulty, speeding up the learning process. You can even print out a graph of their progress. My son's biggest complaint about the program- the default timer is set for 3 seconds, considered the "super answer"- that is FAST! Never mind that my child has a hard time thinking that fast, but then to find the number on the keyboard AND push enter, well, forget it! Super frustrating at first. BUT, once we changed our timer, first to 8 seconds and then to 5, he was on a roll and excited about beating his time. 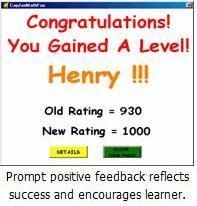 With as little as 15 minutes a day on the site we have not only seen an improvement with his fact knowledge but because of the positive feedback it gives, also a huge leap in his confidence. A win win situation! There are also achievement badges your child can earn to encourage them along the way. "The main advice is that "Playing for Rating" is the most effective method for reaching Mastery. At the beginning kids will say it's too easy. Just tell them to show you how easy it is. It'll get tougher soon enough. Otherwise, parents and teachers should not get involved beyond showing interest in a learner's progress. Hovering definitely doesn't help. If a kid seems to get stuck and frustrated, just tell them to remember how easy it was at the beginning and to stick with it. Sometimes it's useful to take a "time out" and switch to the Practice mode. Remember, the RESET button lets you switch between math types and other things." You can download the CapJaxMathFax™ Evaluation Program for free at any time. The Evaluation Program provides a good hands-on overview with explanatory notes. If you decide to continue on, the program starts at $29.99. You can see what fellow CREW members had to say about their experience with the program here! Disclaimer- I received a free subscription to CapJaxMathFax in exchange for my opinion of this program. The comments above are my own views and were not influence by CapJax! This time on Wednesday I will be in surgery. My first. one. ever. It is overdue and needed. Since November, I have had "women's health" issues that landed me in the ER twice and resulted in severe anemia so the time has come- a hysterectomy is scheduled for Wednesday. Anyway, it was not my first choice, nor my second for that matter, but after many consultations and much prayer we believe that it is the answer I need. Can I just tell you I am scared? I braved having two of our kiddos naturally because it seemed better than needles and associated hospital things. I am not fond of hospitals. I still have my wisdom teeth because I am a wimp. Get the idea? Funny thing is, about the same time that all this came about, we also got word that CP needed his elbow surgery. At the time I joked with him about getting in line, I was sick first. But while sitting in the waiting room a few short weeks ago, I had an epiphany. Maybe God was letting me conquer my fear of surgery by allowing me to walk though it first with my husband. I got to see all the pre-op stuff. I got to see all the post-op stuff. And I, I mean, HE, survived. I will too! But, just to cover all of my bases- will you please add me to your prayers Wednesday morning? For a successful surgery and healing, but especially for a peace that only the Lord can provide. My nerves will thank you- SO DO I! ...with a two year old in tow (that's me) she crossed the country in a car to start a new life. Not her choice, it's just what she did. She gave up parts of her life for years to give me a better one. ...she made our home a welcome haven to friends and family and taught me what it was to love people for who they are and where they are at. ...she let her only child live her dreams, encouaging me always to follow my heart and follow God. ...with an uncompleted college degree she has been a bank teller, office manager, dental assistant, CNA, doula and preschool teacher. She has touched the lives of many others. ...when we moved to Colorado, she decided that would be a good place to live. So she moved too! That was our best.assignment.EVER! Much of which we owe to her. ...she will come running to our rescue at the drop of a hat (or just a text!) to play mom for us. Trust me, we tried that out in March! 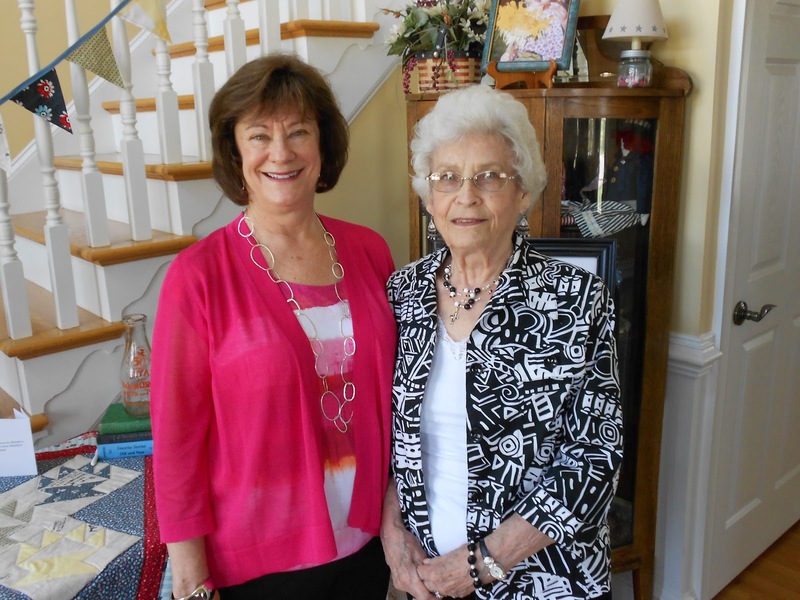 ...she raised me in a church-going home, but when my husband and I begin to see that there was more to being a believer than just attending church, she joined us in our quest for knowledge, accepted the Lord as her personal Savior and was baptized with us and our oldest! Precious memories! 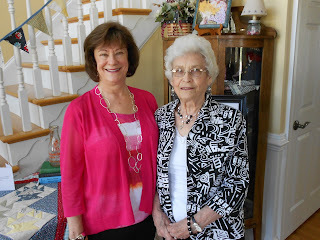 ...she takes care of my sweet Grandmother, allowing her to live her senior years in happiness, close to the ones who love her. She is kind hearted. She is loving. She is generous. She is amazing. She is loved! Happy Mother's Day to all the mommies I know and admire! The world is a better place because of you! From the company: "The Judah Bible Curriculum is designed to enable you to teach your students to research the Bible, recognize the hand of God in the lives of men and nations, and implement the practical and personal application of Christian self-government." Using the Bible as your textbook, Judah Bible Curriculum (JBC) guides you through the Bible focusing on 5 primary themes: Creation, The Plan of Redemption Begins, Kingdom of Israel, Kingdom of God and The Early Church. Each theme is broken into weeks, with each week assigned a Key Topic. The Old Testament is taught the first semester and the New Testament is taught the second semester of study. The five primary themes are revisited each new year of study with only the key topics changing to allow for a complete coverage of the Bible over a course of a year. JBC explains its seed approach; "The seed contains everything that is needed to grow a great tree, adding only time, water and nourishment. You will be teaching the seed ideas and principles through the whole Bible every year. Each year, however, you will be studying different keys, adding to your understanding of the whole by studying the parts in detail and in context. The class will not be required to read through the whole Bible each year but will be studying the high points." 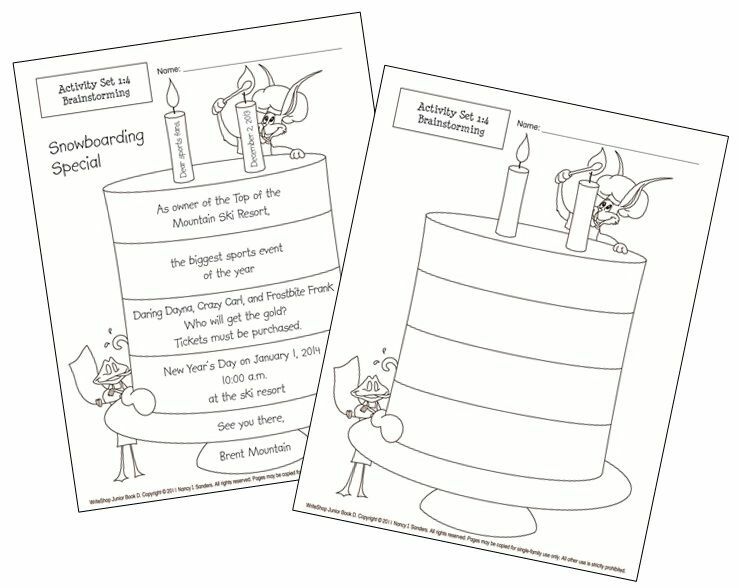 Included in each weekly guide is the theme for that week, scripture memory, and key sheets, which can be done orally or filled in by the students. These sheets help you focus on the key individuals, events, institutions and documents referred to in that week's lesson and there are ample examples online to help you navigate them. JBC also encourages notebooking to allow children to document their studies. Unfortunately, while many examples are given, it will be up to you to supply any notebook pages you use. the relationship between individual Christian character and national liberty. However, this was not as good of a fit for our family as I had hoped it would be. As we reviewed JBC, I admit that I realized how dependent I have become through the years on a scheduled curriculum. Since this program does not have one, I floundered more than once with what to do each day. Since we as a family read and study the Bible nightly together as part of our family devotion time, I felt we were being redundant during our school Bible time. I have, however, taken several of JBC’s ideas to heart and will put them into practice. I loved what the author said, "Remember that YOU, not the curriculum or its author, are teaching the students. Instead of thinking, 'How does he want me to teach this?' seek the Lord for direction, 'Lord, how should I get this across to my student?' ...We must try to engrain in our students the intelligence of following God and the stupidity of sin, so they don't follow God's law merely out of duty, but grow in His love. We must teach the value of Christian character, not just the 'Thou-shalt-nots' of the Bible"
May we all grow in His love! JBC may be purchased for $69.00 for a hard copy, including the 8 CDs, or in downloadable version for $44.00 here. I encourage you to check out what other CREW members had to say here. Many had quite a different experience than mine and several had an easier time developing their own day to day schedules with the material presented. As with any product, you have to find what is right for your family! Disclaimer: In return for my honest opinion of this product, I received the downloadable material, including the Teacher's Manual and 8 Audio Files. A few months ago, I mentioned that ALP was up to her eyeballs in scholarship applications. While she was not awarded the one that went with this essay, it was the one she was the happiest with and I wanted to share it with you. 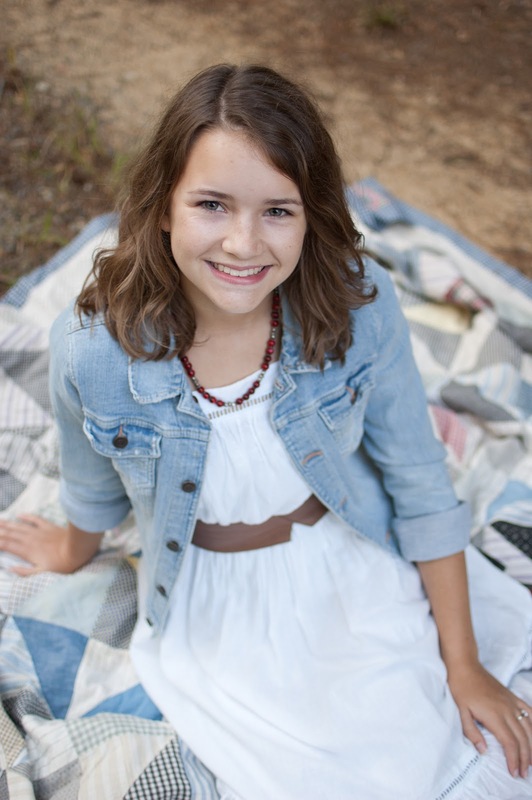 I think it gives a small glimpse into the heart of a military child. Names have been abbreviated to protect identities, but you military friends out there will probably recognize a few! Four faces. How to choose? Could we ever construct a 21st century Mount Rushmore big enough to hold the countless every day heroes who serve and have served in our military - some visible, some invisible? No, but two men and two women from my life could represent thousands from others’ lives. The first face on the monument is Colonel D.O.C. (U.S. Air Force, Retired), a family friend and mentor, representing those who serve or have served in the military. They might sit at a desk as he did for twenty-plus years, fly a plane, or command a ship. Most are not recognized for their service. No one lauds their accomplishments or sees their names in the news. Yet, they continue to do their jobs, faithfully serving their nation with pride. 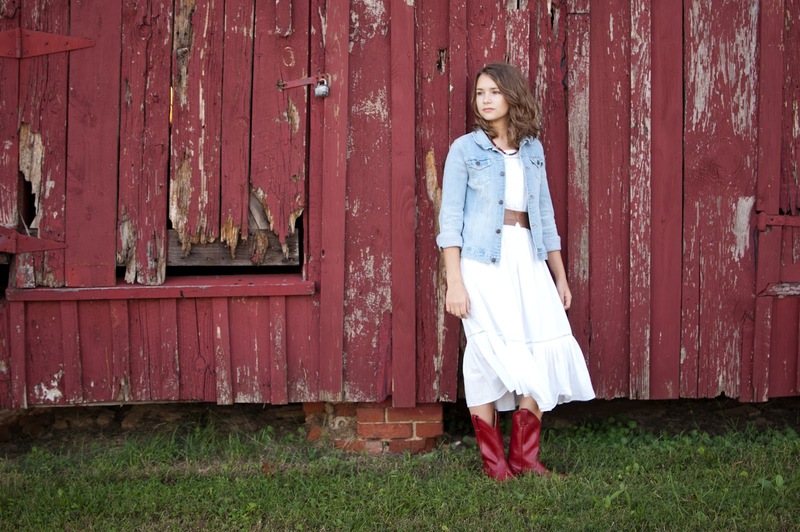 Mrs. Arlana J., her husband recently back from a six-month deployment, is the second face and represents the military spouses left behind - those who know what it is to be alone. They know the cold nights and the empty days. They have been left with children to rear, lawns to be mowed, and driveways to be shoveled. They remain silent when they hear civilian friends complain over two day in-country business trips. Through it all the military spouse stands strong for the one deployed on behalf of their country. They hold on, fight back the tears, and know the separation only makes the reunion sweeter, be it here or in heaven. The third face is my dear friend Kirsten L., the daughter of an Air Force Colonel, representing military children everywhere including me. We identify planes or ships saying proudly “My daddy flies that.”, or “My mommy is on one of those.” We are easily identified as military children when asked our current address or telephone number. “It might be…no, wait. That was two assignments ago.” We are the teens who stand silently when the National Anthemis played, hands over our hearts and tears in our eyes. We military “brats” adjust quickly, know the right way to pack lampshades, and feel the solemn pride of a ceremony. The last face on the monument, Major Steven Plumhoff, represents the fallen soldiers. Mr. Steve was my father’s best friend, killed in a helicopter crash in Afghanistan, leaving behind a wife and child. He represents the ones who, since the beginning of our nation’s history, have fought and have fallen, the ones who gave their lives so that we can live ours. They were men and women who showed great courage despite their fears. They are the ones who will always be remembered with pride and who are not just names on a cold, hard monument. The monument gleams in the fading daylight. There are four distinct faces- faces that are tied together with a bond that spans time - the proud bond of sacrifice for their nation. Four faces you may not think you know. Yet I believe you do, for they represent countless others. A few pictures of our graduation weekend. A beautiful day and a beautiful celebration. 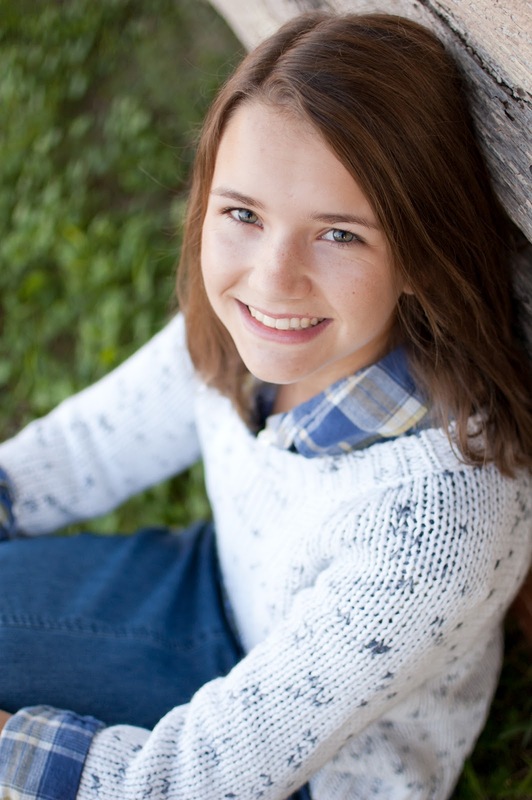 When I took her out of preschool 14 years ago I never dreamed I would be the one to teach her for her entire school career. The plan was to put her in school eventually. As I have stated many times before, praise the Lord that His plan was different. I have had the privilege to teach her, watch her grow, challenge her to learn, mold her heart, point her towards Jesus, and love her 24-7. And I have loved every minute. Her dad and I are so proud of her. She is an amazing young woman and we know that the Lord has big plans for her. Many of you reading this have loved her and encouraged her right alongside of us. You have watched her grow and we thank you for your presence on her life. It takes a village, and we have a pretty amazing one, if I say so myself.